Businessmen vector illustrations. 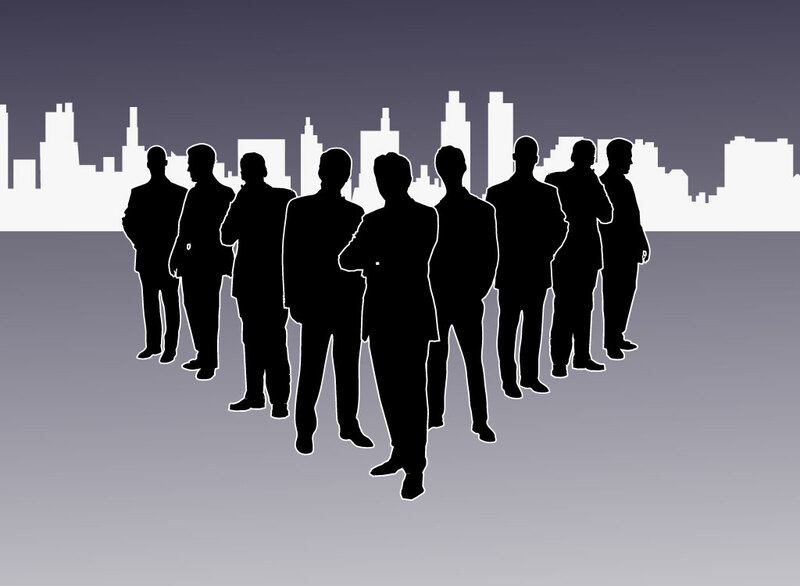 Finance design theme with white skyline of skyscrapers and urban buildings with black silhouette graphics of men in suits. The free biz vector download is an ideal image for corporate commentary blogs, business professional school advertisements and finance themed websites. Tags: Bankers, Biz Vector, Building, Business Men, Economy, Office, Work.